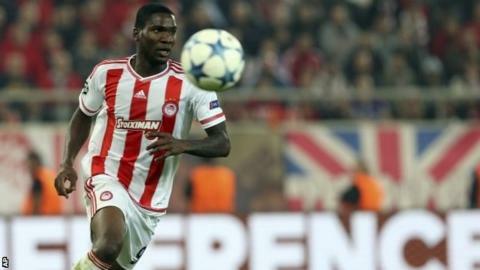 Olympiakos achieved a joint club record 16 wins in a row at the start of the Greek Super League season after beating Panionios. The Athens side can break their record streak if they beat Levadiakos next weekend. Marco Silva's team are 18 points clear of AEK Athens thanks to goals from Alejandro Dominquez, Felipe Pardo and Ideye Brown. Spiros Risvanis had levelled the scores for Panionios. Olympiakos have won the last five Greek titles, and 17 of the last 19 - with Panathinaikos the only other side to have won the league since 1994-95.